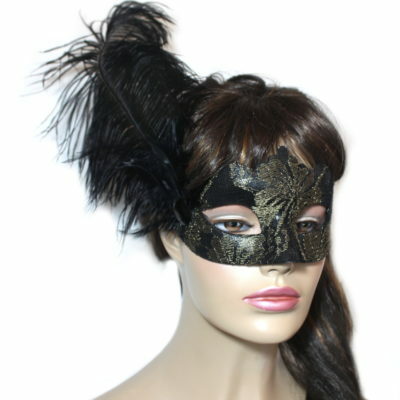 This unique Venetian masquerade mask features a black painted base with hand covered black lace with light gold metallic thread detail. 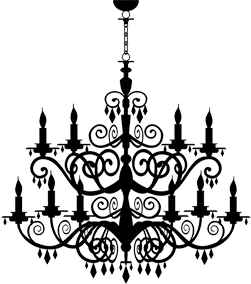 Subtle and elegant in design. 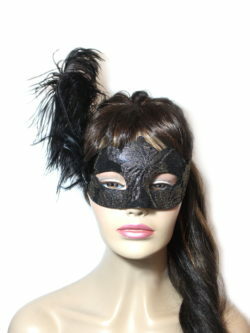 The side is adorned with a black ostrich feather and black rhinestone detail. Ties with satin ribbons. 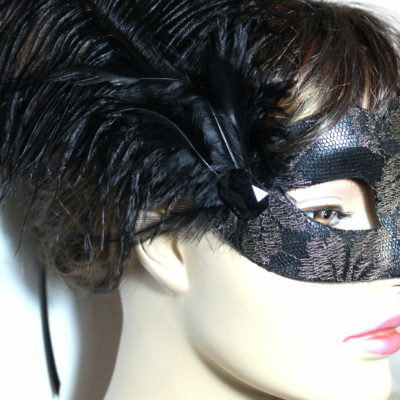 Suitable for all face shapes.